Yes! A free track from Slugabed on MYOR bandcamp site. Go get it, an exercise in purple wonkiness par excellence. 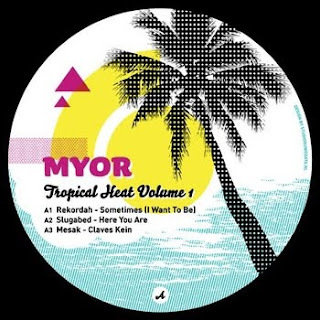 Here You Are has been originally released on Tropical Volume 1 (MYOR HOLLAND) in May 2010 and apart from Slugabed, it features tracks from Rekordah, Coco Bryce (YES!! ), Mesak, Nino, Incense and Saccage - go to the bandcamp and buy the whole set. Trust me it will be well-spent EUR 5!